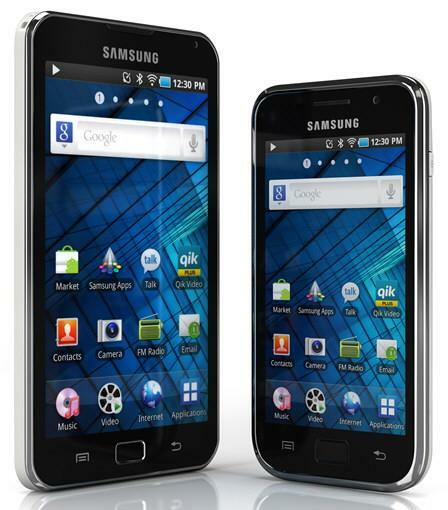 Samsung today launched two of its new Portable Media Players named Galaxy S WiFi 4.0 and 5.0. Both devices run on Android OS 2.2 and feature a 1Ghz CPU along with 8/16GB of flash storage, a microSD slot, a HD camera, and a large (4-inch on the 4.0, 5-inch on the 5.0) touchscreen. Both devices will have access to the Android Market and will provide quick access to social services which include VoIP voice and video calls. The devices will also make use of SoundAlive technology delivering quality sound. The Galaxy S WiFi 4.0 will retail in Russia while the 5.0 will start first shipment in Switzerland.